Annabelle was launching in Belgium and the Netherlands, so we helped our clients Warner Bros NL and BE on some great online campaigns! 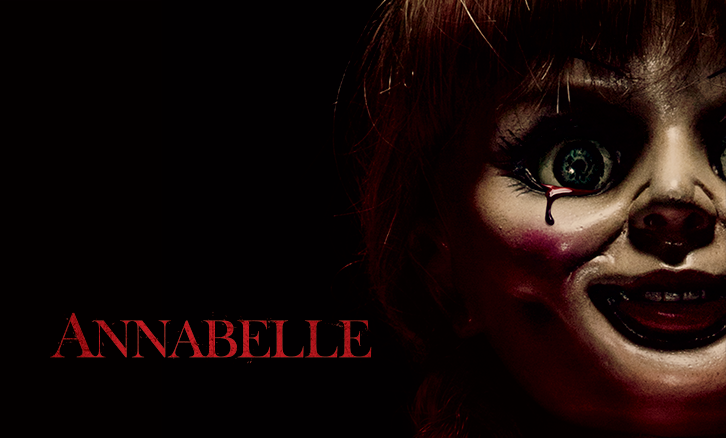 Warner Bros NL tasked us with an online campaign for the movie Annabelle, starring the infamous doll first seen in The Conjuring. To draw attention to the movie, we offered the doll for sale in a fake ad on second-hand website marktplaats.nl. Generic listings in several categories on the site generated traffic to the ad. This looked exactly like the average marktplaats ad, except for one thing… it was haunted! We also launched a short activation video on Vine and Facebook where we mixed the trailer with music of Hans de Booij. 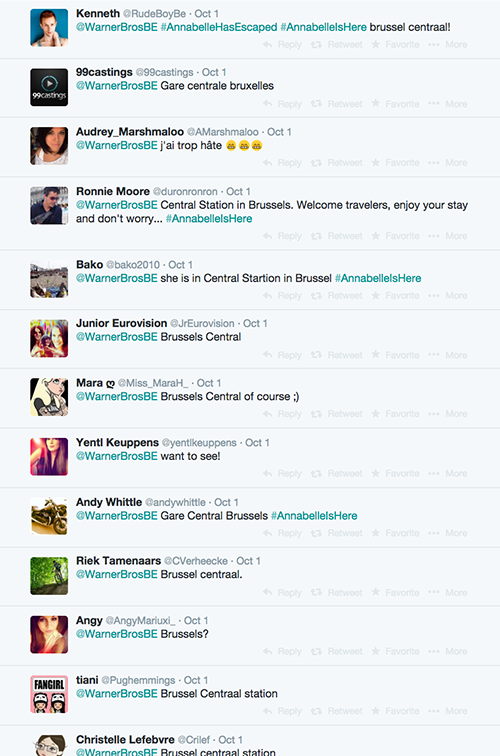 The Annabelle Doll was coming to Belgium… but o no! She had escaped from the office! 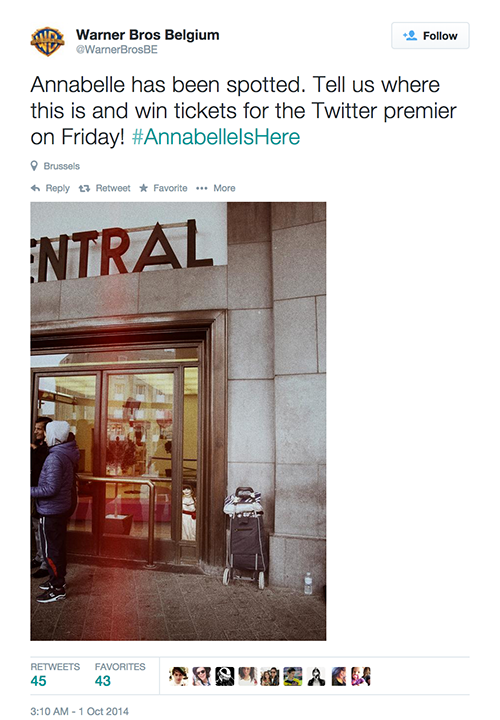 Luckily we followed her around Belgium, took pictures of her and let the Warner Bros Belgium fans guess where she was by using the hashtag #AnnabelleIsHere. People who could guess where she was won tickets for the premier. They also had a chance on meeting her in real life. During the movie screening they could sit next to her in a rocking chair… if they dared!